When people think of estate planning, they generally think of the larger picture. However, there are often smaller details that can get overlooked. Not sharing final wishes or documentation with designated beneficiaries can have a significant effect on aspects that are very important to the estate holder. 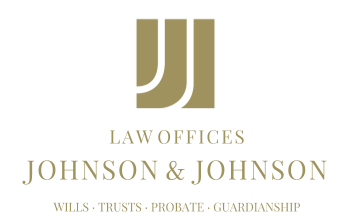 Here in Nevada and elsewhere, it is crucial that part of estate planning includes sharing information with loved ones or executors. It may not be clear as to how these seemingly unimportant factors can impact end of life directives. One out-of-state family wanted to honor their patriarch’s wishes to be buried at Arlington National Cemetery, but had difficulty when they could not locate proper paperwork that proved the man had served in the military. Luckily, the needed form was located in a book, though not within estate documentation. Another woman was unable to follow her mother’s wishes for a burial at sea when she discovered the needed paperwork had been completed but not filed. These two stories highlight the need to share every detail of an estate plan with loved ones and to take care that all related documents are easy to obtain. Having a will might seem like an obvious part of an estate plan, but many people still fail to have one made. Designating a power of attorney, whether that person is only in charge of healthcare decisions or all financial decisions, may give peace of mind. Some things that people may forget to do are to share passwords or logins for online accounts — these can be documented and stored with a trusted loved one or in another safe, but known, location. Also, taking the time to share one’s medical history can help future descendants. Though the end of one’s life may not be the most pleasant topic of conversation, it is imperative that it is discussed with trusted individuals. Nevada families may need advice in estate planning, and reliable information is available that can make the entire process smoother. It can allow families to focus not on unanswered questions, but on memories of a loved one who has passed.